Our securely locked trucks come to your location in Chelmsford MA for a scheduled pick up. The driver loads your documents and boxes on the truck and takes them back to the secure facility where it is shredded and baled on a large plant-based shredder. This offers the same level of security and confidentiality as mobile shredding, but at a more affordable price. Chelmsford MA Residents can benefit from this service a great deal by reducing their shredding service cost by 30 to 60% Off Mobile shredding rates. Personal Files: Cleaning out your file cabinets and afraid to put you old files and records in the trash? We can shred your material in a safe and secure manner, our company can pick up and securely dispose of all your personal documents for as low as 89¢ / Lbs. Home Business Files: Many prosperous Chelmsford MA businesses are run out of the home and employ just 1-3 people. These SOHO (Small Office Home Office) businesses can manage a lot of paper and electronic material that needs to be destroyed by law. As a Chelmsford Massachusetts Home-Based Business, you are not exempt from these federal and state requirements. Medical Offices: We understand the need for the protection of confidential and patient information within the healthcare industry. 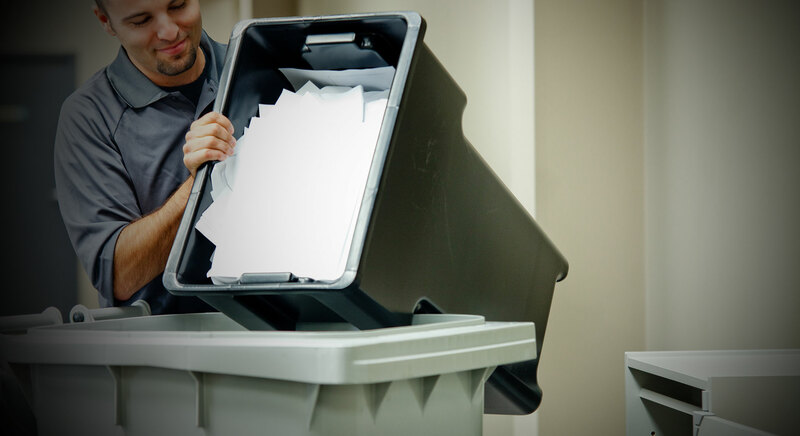 From patient records destruction to office paper shredding services, Neighborhood Parcel Document destruction manages medical records and healthcare documents with the highest level of security and in compliant with HIPAA Privacy Law. Our shredding service company can help because we keep our prices much lower than our competitors. We understand the special requirements of Home-Based Businesses, as well as the needs of large accounts. We are very flexible and can pick up your materials when you are in the office, no matter what time of day! No more waiting around…what time is good for you? Simply call us at 978.636.0301 to schedule your next shredding job in Chelmsford MA. What if you could eliminate a major source of identity theft? what is the cost of your peace of mind? Now you can have all your personal documents shredded by simply dropping them off at our secure facility in Tewksbury MA. Located 15 Minutes south of Chelmsford MA. You will be eliminating all transportation charges and saving even more by dropping off your material at our facility. Our staff will help you offload your material and send you a notarized Certificate of destruction upon request. BOSTON, MA . CAMBRIDGE, MA . ANDOVER, MA . BOSTON, MA-CENTRAL . BILLERICA, MA . CHELMSFORD, MA . BOSTON, MA-NORTH . LAWRENCE, MA . LOWELL, MA . WALTHAM, MA . TEWKSBURY, MA . SALEM, MA . BOSTON, MA-SOUTH . PEABODY, MA . NEWBURY, MA . BURLINGTON, MA . WILMINGTON, MA . HAVERHILL, MA . BOSTON, MA-WEST . METHUEN, MA. LYNN, MA . MELROSE, MA . WOBURN, MA . MEDFORD, MA . ARLINGTON, MA . BROOKLINE, MA . LEXINGTON, MA . NEWTON, MA . BEVERLY, MA . DANVERS, MA . WATERTOWN, MA . WORCESTER, MA . LEOMINSTER, MA . MARLBOROUGH, MA . WALPOLE, MA . AMESBURY, MA . AVON, MA . BOXFORD, MA . BRAINTREE, MA . CARLISLE, MA . CHELSEA, MA . CHICOPEE, MA . CONCORD, MA . DEDHAM, MA . EVERETT, MA . FITCHBURG, MA . FOXBOROUGH, MA . FRAMINGHAM, MA . FRANKLIN, MA . GARDNER, MA . GEORGETOWN, MA . GLOUCESTER, MA . GROVELAND, MA . HARVARD, MA . HINGHAM, MA . HOLBROOK, MA . HOLDEN, MA . HUDSON, MA . IPSWICH, MA . KINGSTON, MA . LYNNFIELD, MA . MALDEN, MA . MANCHESTER-BY-THE-SEA, MA . MANSFIELD, MA . MARBLEHEAD, MA . MAYNARD, MA . MEDFIELD, MA . MERRIMAC, MA . MIDDLEBOROUGH, MA . MIDDLETON, MA . NEEDHAM, MA . NEWBURYPORT, MA . NORTH ANDOVER, MA . NORTH READING, MA . PEPPERELL, MA . QUINCY, MA . RANDOLPH, MA . READING, MA . REVERE, MA . ROCKPORT, MA . TOPSFIELD, MA . TYNGSBOROUGH, MA . WALPOLE, MA . WELLESLEY, MA . WINTHROP, MASSACHUSETTS .